Margaret Smith lost five sons in World War I before the Queen stepped in to have her sixth boy brought home to County Durham. The poppies will adorn St Mary’s Heritage Centre on Gateshead Quays from November 5 to December 18. One of Sunderland's greatest military heroes is being honoured this week at centenary commemorative celebrations. Iain Wright, the MP for Hartlepool, has said the town is a "close-knit" family, in light of today's World War One memorial service. He also pointed out that some of his constituents' "direct ancestors" perished when the North East coast was bombarded by German warships 100 years ago today. A ceremony has been held in Hartlepool to mark 100 years since the town was bombarded in World War One. There have also been events in Scarborough and Whitby. 100 years ago today five German battle ships struck the North East coast. 151 people were killed in the attack. Dignitaries have been laying wreaths and singing hymns at a ceremony in St Mary's Church in Scarborough to remember the 100th anniversary of the World War One bombardment. Thousands of German shells were fired at Hartlepool, Scarborough and Whitby in the first enemy attack on British civilians during WW1. 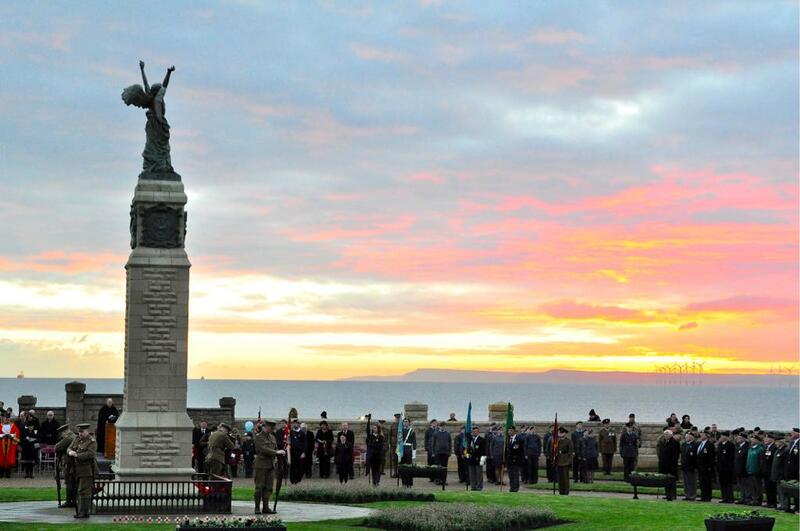 People in Hartlepool gathered for an early morning service to remember the lives lost during World War One. Remembering those who died during the World War One bombardment.